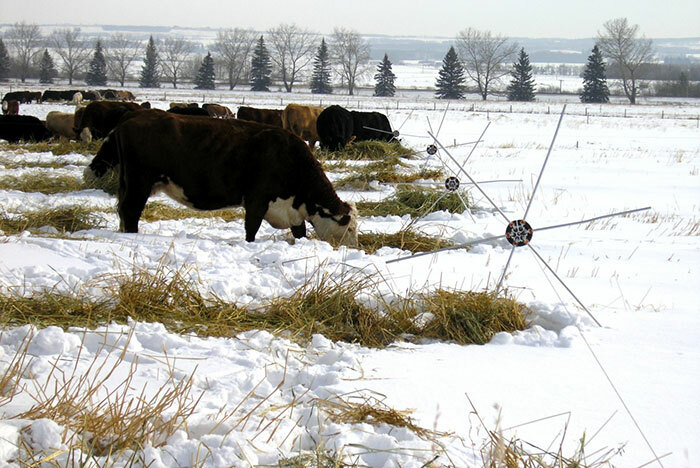 As we transition into fall, many producers’ thoughts turn to fall and winter forage options for sustaining cattle production. While the most common thought is to feed baled hay, it tends to be costly. Grazing stockpiled forages is also a logical and viable choice, but there is an additional practice to keep in mind. Aaron Berger, University of Nebraska-Lincoln (UNL) extension educator, offers windrow grazing, or swath grazing, as a fall and winter-feeding option in a recent UNL BeefWatch newsletter. Berger suggests that leaving crops in windrows in the field provides advantages such as eliminating the cost of baling and hauling bales, reducing labor and equipment costs associated with feeding, and returning some nutrients and organic matter from the consumed forage back to the soil where the crop was grown. Weather also supports this feeding practice. “In Nebraska, 75 to 80 percent of seasonal precipitation falls between April and September,” Berger explains. The other 20 to 25 percent falls from October through March. Because of the lower precipitation, swathed, early-fall crops are preserved throughout the fall and winter with little loss in quality due to weathering. “Cool, dry conditions frequently associated with late-fall and winter in Nebraska are favorable for preserving forages in a windrow,” Berger adds. Berger does note that higher than average precipitation heightens the risk of windrow deterioration as compared to drier conditions. Warm season annual forages such as foxtail millet, sudangrass, and sorghum-sudangrass hybrids are viable options for windrow grazing. For cool season annual forages, spring triticale, oats, and spring barley are recommended. A webinar, Windrow Grazing in Nebraska, is available on the UNL Beef website and provides more details on how to use this grazing practice.